Did you know that trying to start a new game of Zelda: Breath of the Wild will erase all of your current save files? Please do not let this happen to you. Start a new Switch account before you start a brand new game. I thought about it for a second. Surely it must be talking about auto-saves? There’s no way Zelda would wipe your entire database of save files just so you can start a new game, is there? 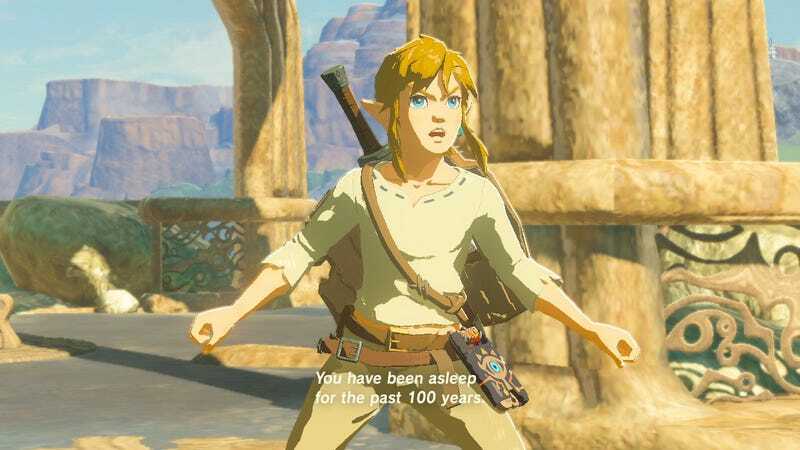 I was about to press “yes” when I thought I’d check Google just to be safe, and sure enough, the internet answered me: Starting a new game of Zelda: Breath of the Wild will delete all of your saves. To start a new game without erasing your save files, you need to start a new Switch account, which you can do by going to System Settings on the home page, then scrolling down to Users, and then selecting Add User. Then, load up Breath of the Wild with your new user data and you’ll have a nice clean save file to play with. Why is this the only way to start a new game? Because Nintendo. Incidentally, Breath of the Wild is a very good video game for people who don’t play a lot of games. On Saturday, my fiancée played for seven hours straight.